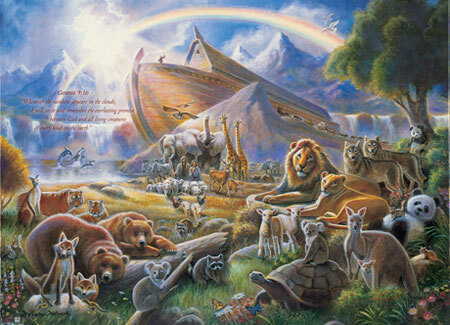 noah's ark. . Wallpaper and background images in the The Bible club tagged: bible. We ain't drowin' no more! Love all the pairs of animals - great image!